Yesterday Chinese CAD software vendor ZWSoft released ZWCAD Mechanical, its ZWCAD vertical for manufacturing. The press release highlights “functional features in drawing setting, BOM filling and editing, flexible dimensioning and symbol marking“. ZWSoft has an interesting comparison between ZWCAD Mechanical 2012 and AutoCAD Mechanical 2013 (not 2013). You can download a 30 day trial of ZWCAD Mechanical here. 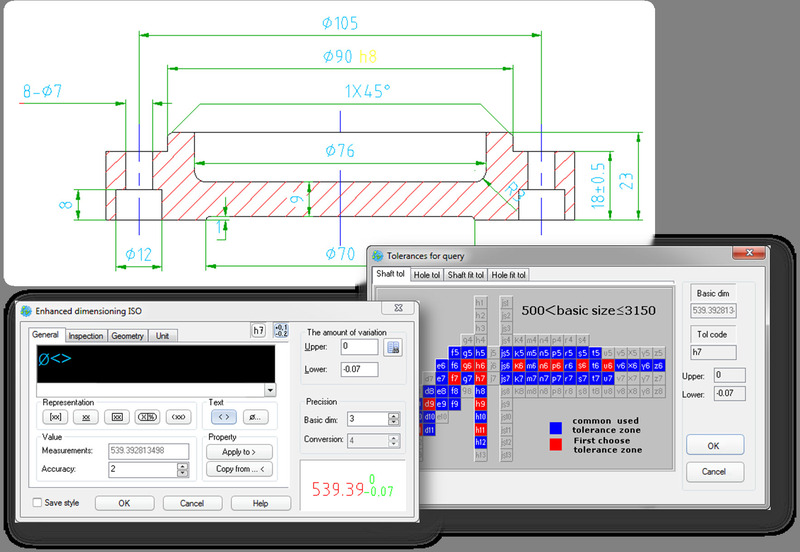 Here is an image showing the flexible and advanced dimensioning feature of ZWCAD Mechanical. Click the image to enlarge.